"That's a really low number for the world's biggest cat, which used to be far more abundant but today is mainly confined to small areas of India and Bangladesh," he said. "Spanning more than 10,000 square kilometres, the Sundarbans region of Bangladesh and India is the biggest mangrove forest on Earth, and also the most critical area for Bengal tiger survival," said lead-author Dr. Sharif Mukul, an assistant professor at Independent University Bangladesh. "What is most terrifying is that our analyses suggest tiger habitats in the Sundarbans will vanish entirely by 2070," said Dr. Mukul. "Beyond climate change, the Sundarbans are under growing pressure from industrial developments, new roads, and greater poaching," said Professor Laurance. "So, tigers are getting a double whammy—greater human encroachment on the one hand and a worsening climate and associated sea-level rises on the other," he said. "The more of the Sundarbans that can be conserved—via new protected areas and reducing illegal poaching—the more resilient it will be to future climatic extremes and rising sea levels," said Professor Laurance. 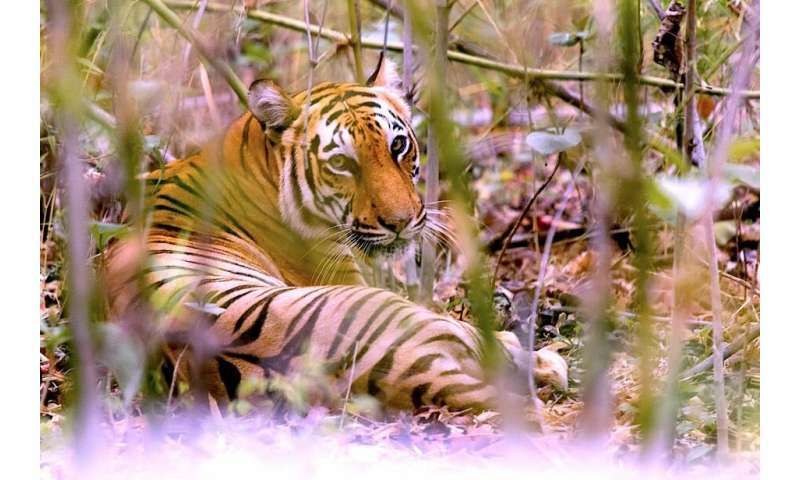 "Our analyses are a preliminary picture of what could happen if we don't start to look after Bengal tigers and their critical habitats," said Dr. Mukul. "There is no other place like the Sundarbans left on Earth," said Professor Laurance. "We have to look after this iconic ecosystem if we want amazing animals like the Bengal tiger to have a chance of survival."